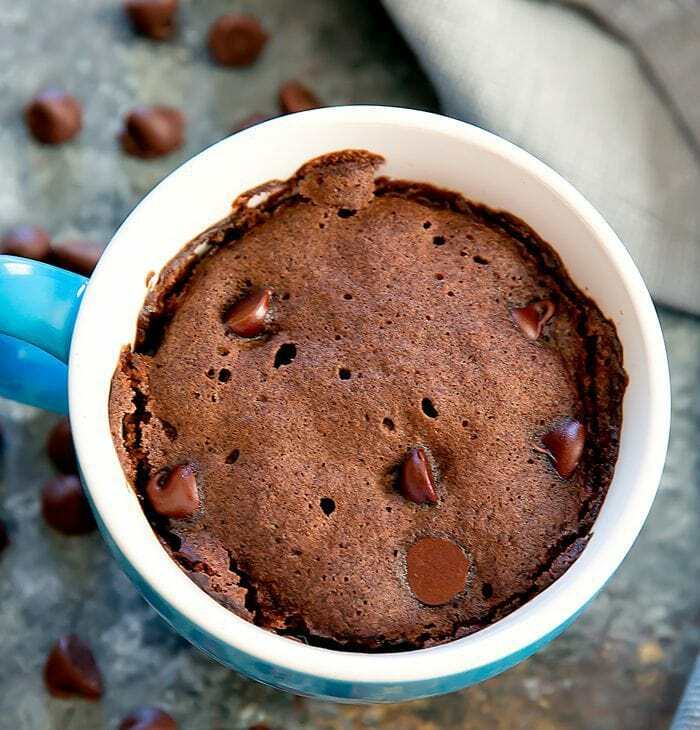 This single serving chocolate mug cake uses cake mix and cooks in the microwave in just one minute. No need for eggs, oil, or having to make an entire cake. Because some days you only have enough time and energy to make a cake mix cake. I’ve spent the last few years sharing many mug cake recipes that are pretty quick and easy, but they are all from-scratch cakes that require several ingredients. The most common issue that people seem to have when they want to make one of my mug cakes is that they are missing an ingredient, especially baking powder. However, most people do have cake mix on hand. I had some leftover cake mix and I was wondering what to do with it when it occurred to me to try making a mug cake with the cake mix. To my surprise, when I did a little research online to see if such recipes existed, most of the mug cakes that used cake mix also required oil, water and a fraction of an egg. 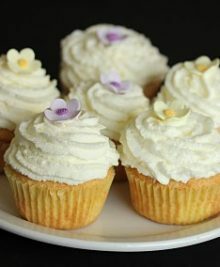 Or they would require using other not as common ingredients like angel cake mix. I was convinced there must be a way to make the mug cake without the egg because no one likes dealing with a fraction of an egg. After several trials (I actually finished all the leftover cake mix and had to open a new one), I finally made a few versions that I’m happy with. 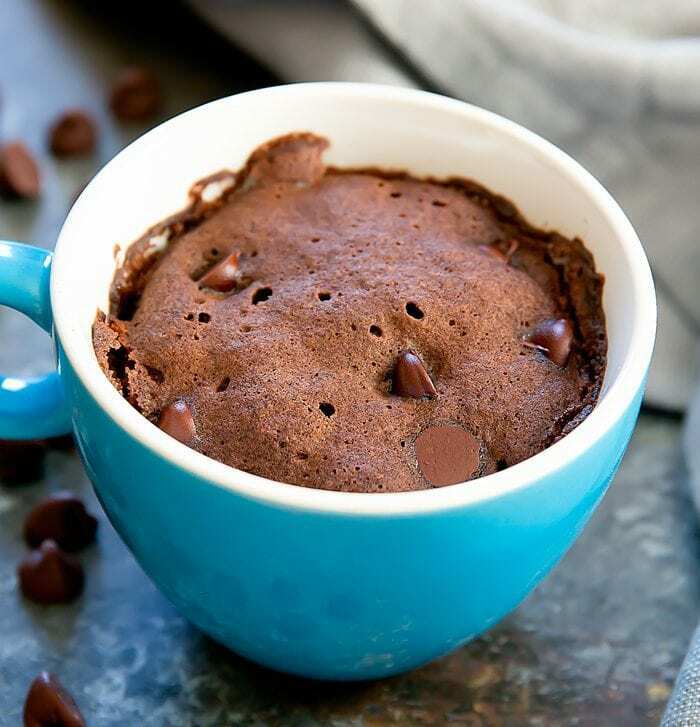 This chocolate mug cake is soft, fluffy and moist. It does have a little bit looser crumb since there is no egg acting as a binding agent, but if you are eating it in a mug, this shouldn’t be an issue. I don’t usually like to make cake mix cakes, but this is a quick way to satisfy your cake cravings without a lot of work or clean-up. You can check also find the rest of my mug cake recipes here. Find all my recipe videos on my youtube page. 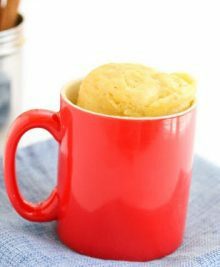 An easy mug cake that uses cake mix and cooks in the microwave in just one minute! In a microwave-safe mug, add cake mix, water and applesauce. Mix with a mini whisk until batter is smooth. If using chocolate chips, add and stir in 1 tbsp into the batter. Sprinkle remaining over top of the batter. Cook in the microwave at full power for 1 minute. Allow cake to cool a few minutes before eating. I tested this with Pillsbury and Betty Crocker cake mixes. I know some people might not keep applesauce on hand,but I found that it really helped keep the cake super moist and also helped bind it together better. If you don't have applesauce on hand, you can use 2 tbsp water and 1/2 tbsp oil (instead of the water and applesauce amounts listed). The cake stays moist but the crumb is quite loose which is why I prefer the applesauce version. Next Post » Snyder’s of Hanover® Wholey Cheese! Every post you blow me away with your creativity! Aww you are too kind. Thank you! 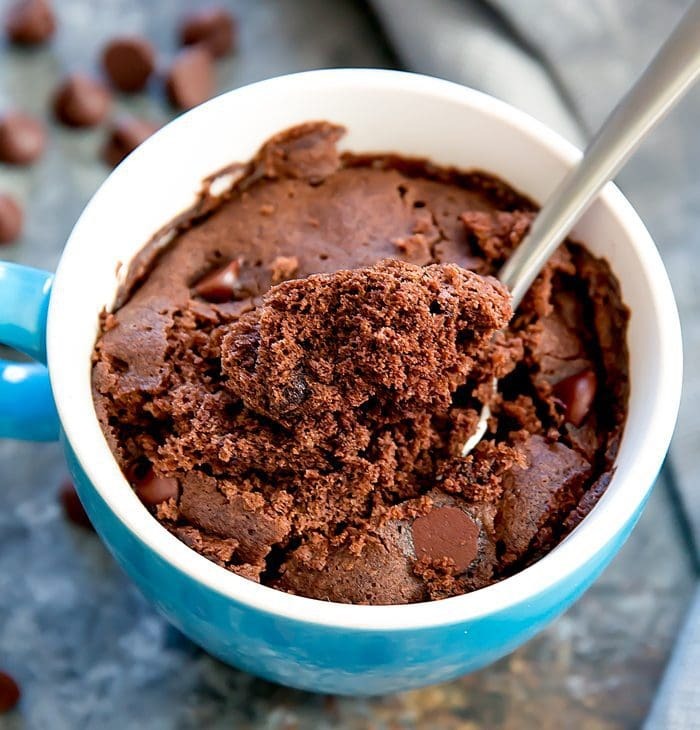 I feel ya, most days actually I only have energy for a mug cake x) I love your blog and this was one of my favorite recipes so far! Oh yay! So glad you like it! Just made this because this momma needed a little treat. It was great! I frequently bake cakes with applesauce to make them a little lighter. Thanks for the mug recipe! I frequently bake things with mayonnaise and applesauce plus a drop or two of vanilla extract. No lie my dad taught me when I was very very young. Baking with mayo and applesauce is great! Turned out great! I added a dollop of nutella before cooking, yummy! I have some Red Velvet cake mix left after I used half of it to make a Red Velvet Cheeseball. I’m definitely going to try this. This will be a good way to use the rest of the cake mix. My husband and I really like mug cakes. Omg, so good! I have tried it with and without the apple sauce. It is good both ways but way better with apple sauce. I used sweetened cinnamon apple sauce. It was amazing. Make sure you have a big mug. My sister in law found out the hard way a regular sized mug will break from pressure. there shouldn’t be any issues with mugs breaking from pressure. Perhaps her mug wasn’t microwave safe? Anyway, I’m glad it worked out well for you! 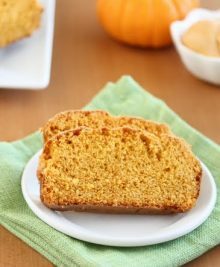 Tried this with white cake mix and cinnamon chips. Tasted just like a cinnamon coffee cake. And of course applesauce and cinnamon always go well together. Yummy! Ooh love the idea of adding cinnamon chips! I used Duncan Hines dark chocolate fudge mix added baby food pear sauce. Very moist and fudgie. Very delightful treat. Oh wow! I tried this a couple weeks ago with chocolate cake mix, and game changer!!! Tonight I used carrot cake mix with sweetened cinnamon (all I had on hand ?????) and OMG it was life altering! Lol Thank you so much, you’ve opened the world of incorporating applesauces into baking now for me! I’m so glad you tried and liked this recipe! 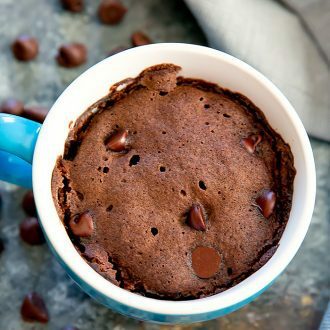 I have been trying to find a good chocolate mug cake recipe, and this one is SO good! Will definitely make it again. ? I used 6 tbsp of red velvet cake mix, 2 tbsp of water and 1/2 tbsp of vegetable oil. I cooked it in the microwave for 1 minute and 40 seconds and it was PERFECT!! I’m going to check out other recipes you’ve got! Thank you for sharing!! I’m so glad you enjoyed this recipe! I am going to try my 1st mug cake this snowy weekend. Thanks for posting….and would love to receive your blog….and when I make this, I will let you know…. This makes one small cupcake-size cake, so most mugs will work. I usually start with a 12oz mug. I don’t usually have cake mix on hand but they were on sale for a dollar! I used Devil’s Food cake and the applesauce, as recommended, in a large Tim Horton’s cup for 70 seconds…(what can I say … Canadians love Timmies lol). I was out of chocolate chips, (don’t know how that happened? … ha ha)so I dusted the cake, once cooked, with icing sugar. Great little treat! Thanks for sharing.